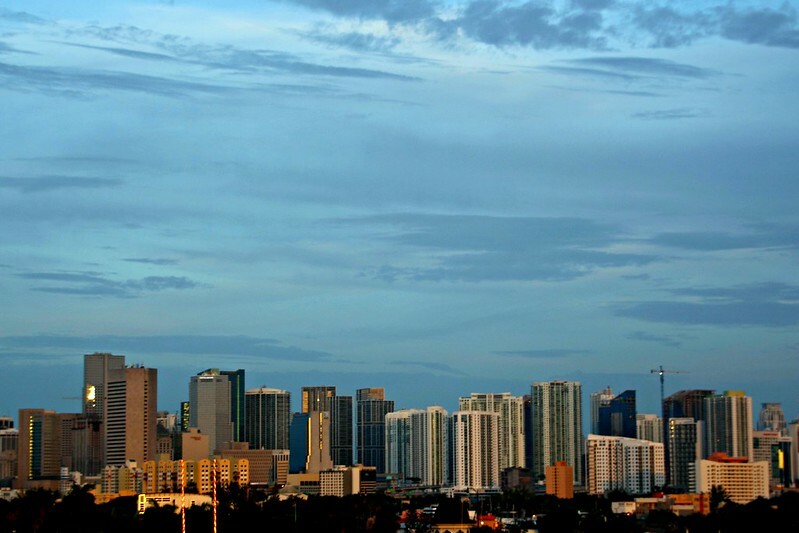 June in Miami is hot and humid, and not even sunset cools the evenings down. 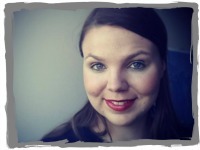 We didn’t let that bother us last weekend, as we first had a girls’ night out with Elina on Thursday in Downtown Miami, and then on Saturday headed out together with Iiro at Miami Beach. 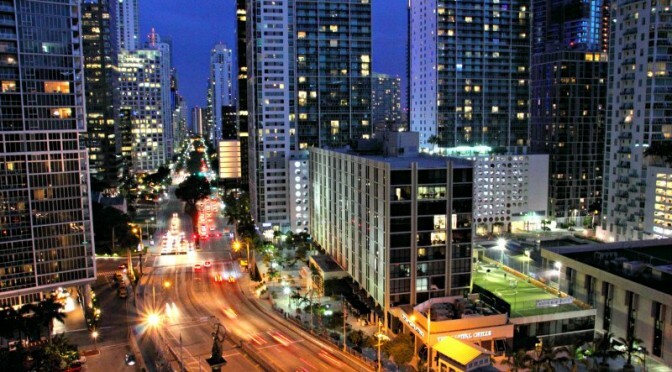 Miami Downtown equals skyscrapers and bright lights. The easiest way to get around is with the free People Mover, which speeds along a couple floors above the streets. After dark, you’ll see homeless people sleeping on the streets, and I wouldn’t feel too safe walking by myself, but this is where Uber comes in: it’s cheap and convenient in Miami. If you’re not familiar with Uber, get first ride free using this invite link. Do you have a rooftop bar here? I asked the reception at Conrad hotel. No, but we have a bar with a view! the receptionist replied with a wink and pointed us towards the elevators. The quizzical answer came clear soon: Conrad’s got 36 floors, and the LVL25 bar is “only” on 25th floor. 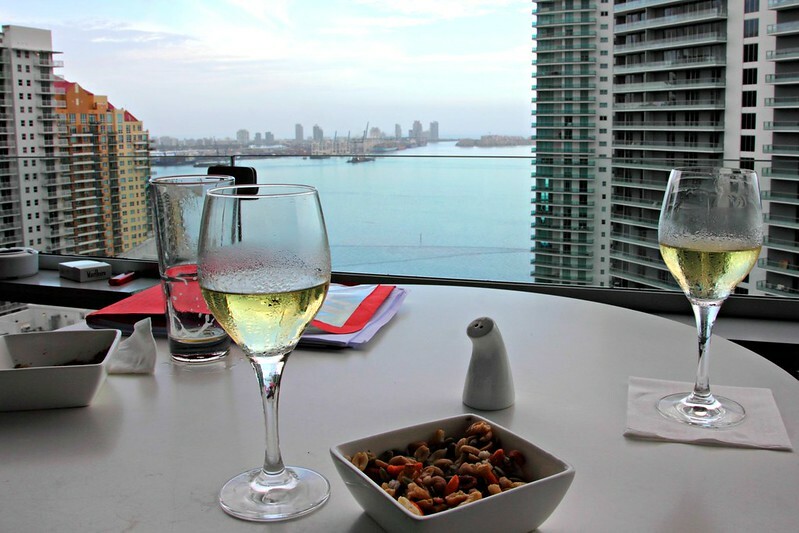 This wasn’t a problem for us as we sat down with Elina to admire the fantastic view over Biscayne Bay. The smallish terrace had no free tables left at 6pm, but we asked nicely to share one with a business man who continued reading his book in Spanish while we chatted way in Finnish – relative privacy thanks to foreign languages. 1395 Brickell Avenue, across the street from People Mover’s Financial District stop. In Miami, it seems to be a fashion to turn indoors into freezers with the help of A/C, which we really weren’t that into. 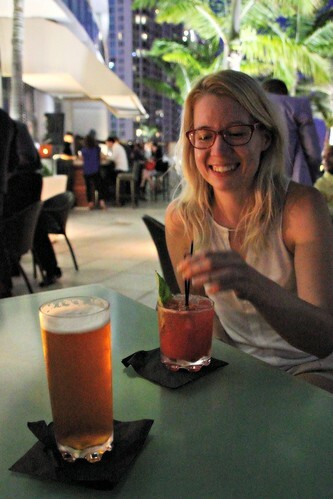 Instead, we headed for the terrace of Area 31 bar at EPIC hotel. On Fridays, they have a Happy Hour that lasts the whole night, but on a Thursday evening it was already over by the time we arrived. (Happy Hour on Mon-Fri from 5 to 8.) The views turned out to be well worth the more expensive drink prices. Cigar City Brewing’s Jai Alai IPA for me, a Hummingbird for Elina. The terrace is right next to the stunning pool deck that has great views both East to Dock Island and South towards the Brickell highrises. EPIC hotel is at 270 Biscayne Boulevard Way, and the closest People Mover stop Knight Center is a short but slightly cumbersome walk away: these streets were not made for walking. 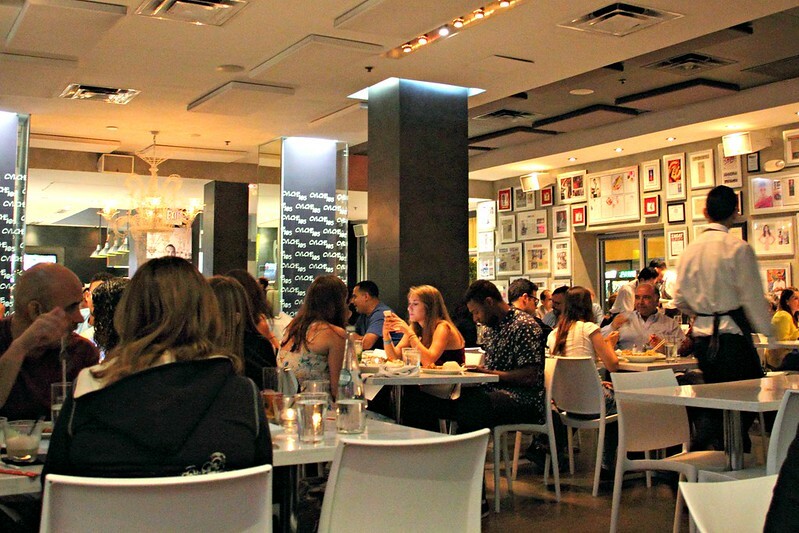 Yelp told us that CVI.CHE 105 would close its doors at ten, but an inquiry about the state of the kitchen at five to ten was answered with a statement of of course we’re open! The list’s also got meat and veggies, but most of the almost full restaurant’s patrons seemed to be after the ceviche – as was I. I had no clue about the different ceviche styles, so the waiter asked me a couple questions on my tastes and then recommended one. Elina got a recommendation of an octopus dish that wasn’t on the menu, and it turned out to be fantastic. 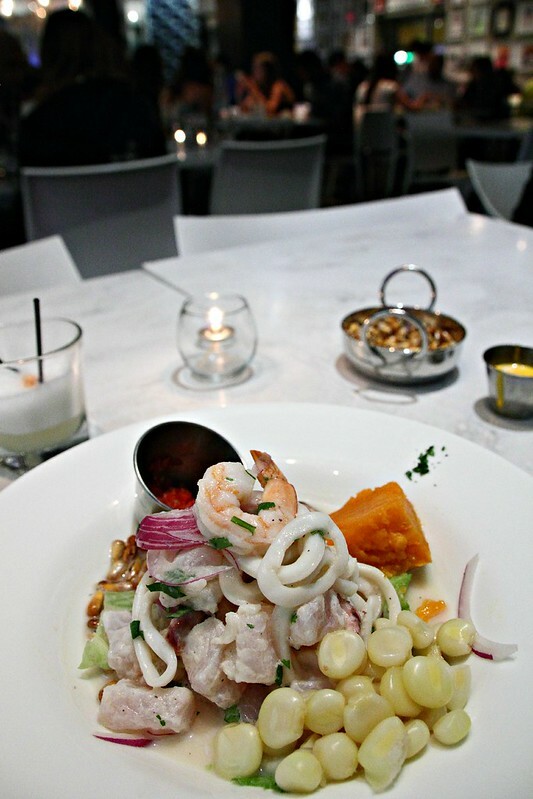 Ceviche Anconero Mixto: raw fish and seafood with sweet potato and corn on the side. Heavenly, but the red paste is hellishly spicy. You’ve been warned. The closest People Mover stop is First Street and the address is 105 NE 3rd Ave. The kitchen seemed to close around 10.30pm. Elina complained it was expensive, but she just spent 6 months in Colombia; I thought it was very decent for the high quality. Be prepared to wait if you don’t have a reservation. 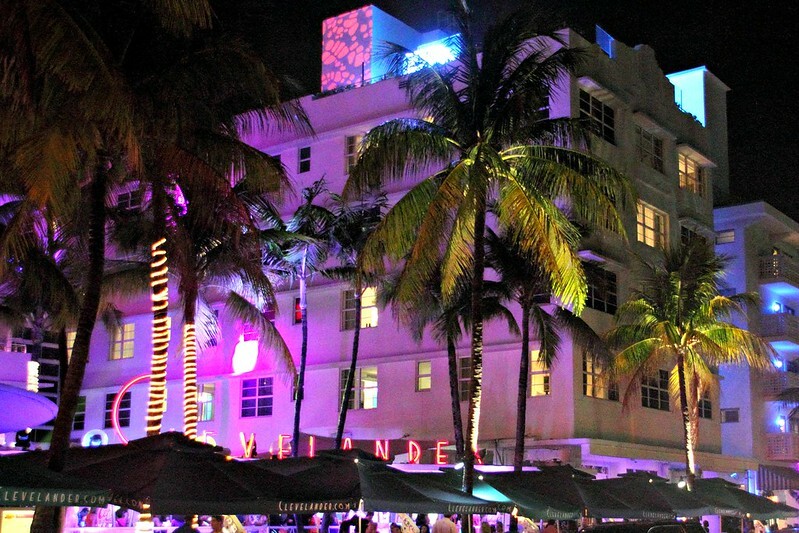 Miami Beach is its own city on its own island next to Miami, and it seems to be the place to be for the glamour crowds. We spent one night on South Beach and were glad we had a hotel there, because the post-sunset rush hour on Ocean Drive was really something, and I wouldn’t count on parking. 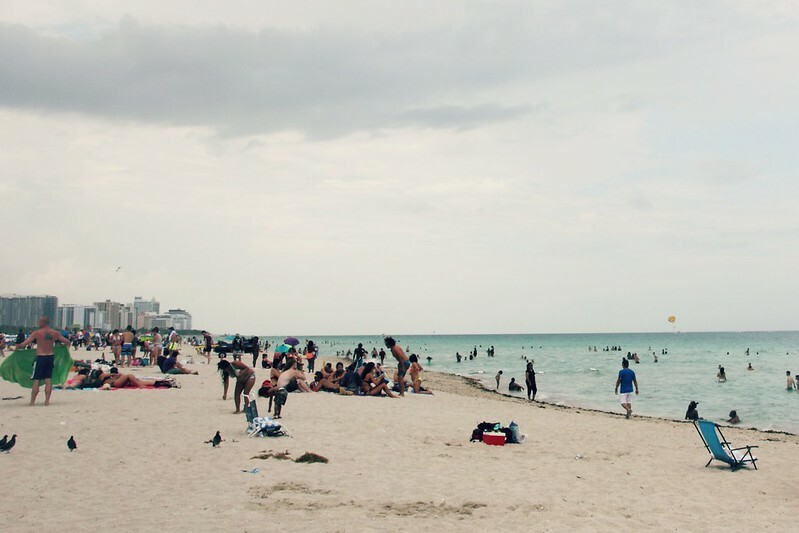 The beach area was full of pedestrians on all hours of the day, and in the evening, Lummus Park becames a parking space for police cars, so besides pickpockets, it felt like a safe area. 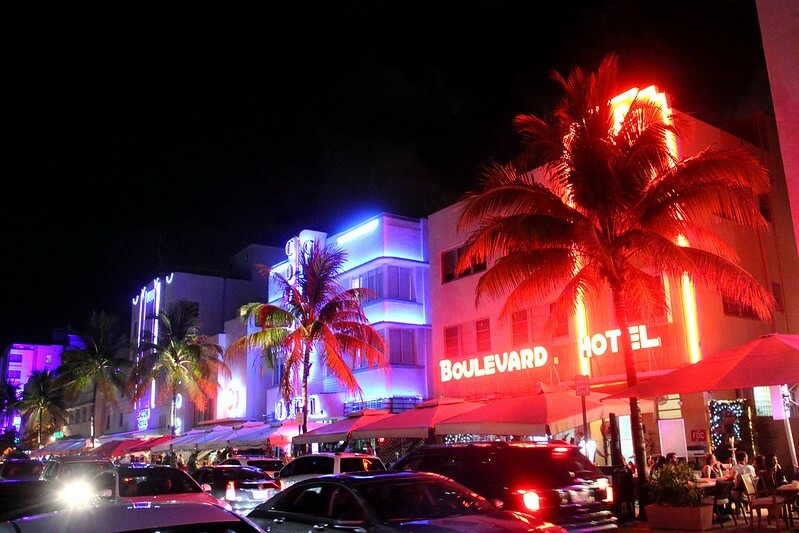 Miami Beach Art Deco District was built along Ocean Drive in the 20s and 30s, and it’s at its best after sunset when the old neon signs are lit up. If you’re interested in the history of the buildings, check out National Geographic Walking Tour, but if not, people-watching in the area is already a good reason to come here. The most popular drinks in the Miami Beach bars seem to be corona-ritas, giant margaritas, or giant corona-ritas. 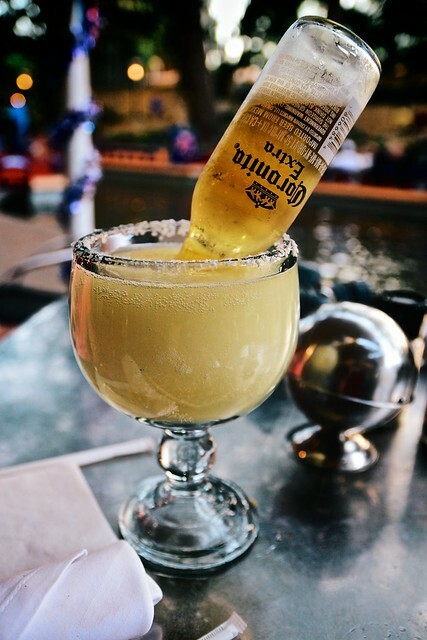 Corona-ritas are margaritas with an upside-down Corona. 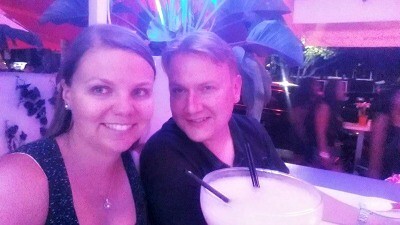 Giant margaritas are around 1,6 liters. Mix those two and it looks pretty impressive. Many people were having giant margaritas by themselves, but we figured sharing would be the saner choice. The restaurants on Ocean Drive seemed pretty touristy, so if you’re looking for good food, it’s worthwhile to head a couple blocks West. We had the most delicious sushi at Toni’s Sushi Bar (1208 Washington Ave), which took us in after midnight, but where I’d recommend going earlier than that, if you’re looking for good service: the staff seemed to be mostly concerned with getting home at that hour. 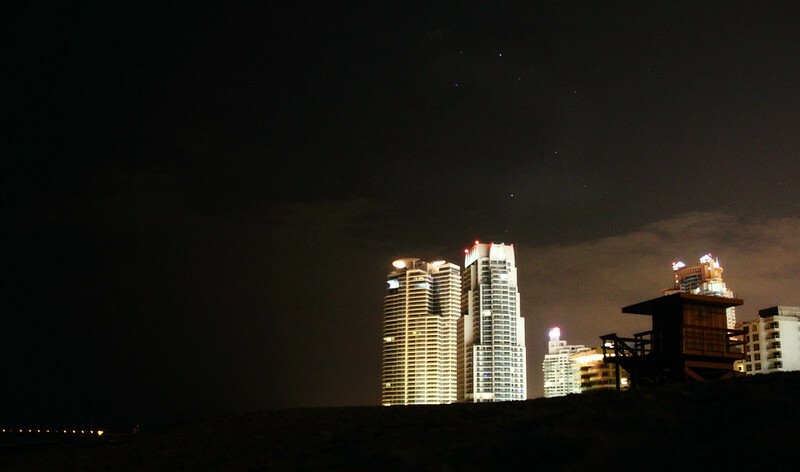 The starry sky and blinking lights from ships moored on the ocean and crashing waves in the dark are a sight to savoir, and the city high rises are silhouetted behind you. I wouldn’t have had the guts to go there alone, and even with friends, it took a moment to get used to the idea. The beach is officially closed to public from midnight to 5am, which means that police will order you to leave if they catch you there. However, with a smaller group in a more quiet area of the beach (say, between 1st and 4th Streets), there doesn’t seem to be any patrolling. And this is not a recommendation for you to break any rules, okay? If you’re looking for a terrace with a sea view, Blanc Kara’s not for you. 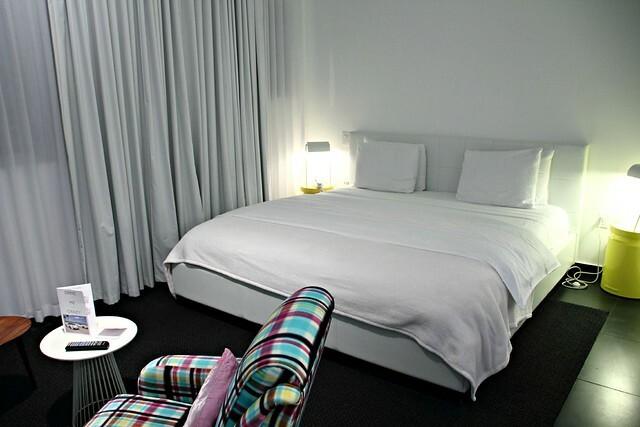 However, if you’d like a boutique hotel with studios that have full-size kitchens, situated close to the beach and the shops but far enough from the nightlife to have issues with noise, then I can warmly recommend Blanc Kara. If you dig Ferraris or Lamborghinis, have an hour or two free in your schedule (and around a hundred dollars extra) and go on a test drive on one of the hotel’s two luxury sports convertibles. 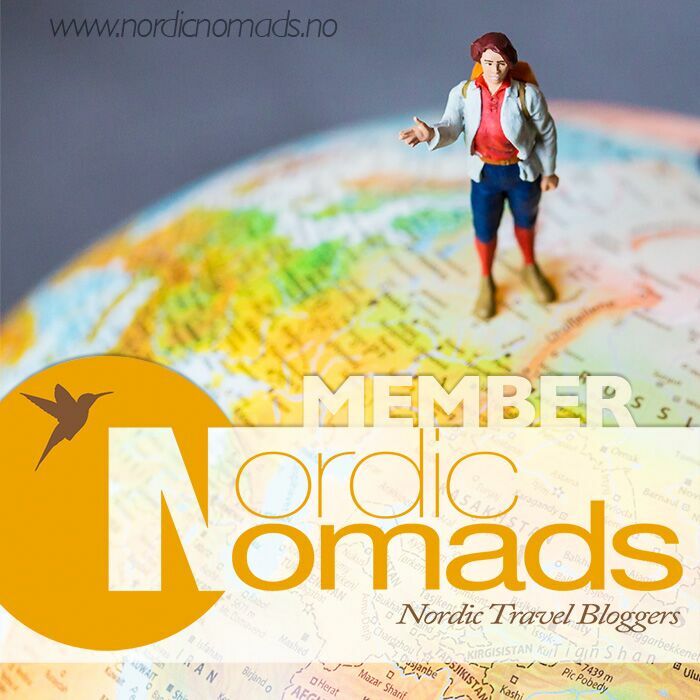 Do you have any tips on restaurants or bars in Miami? If so, leave them in the comment box! 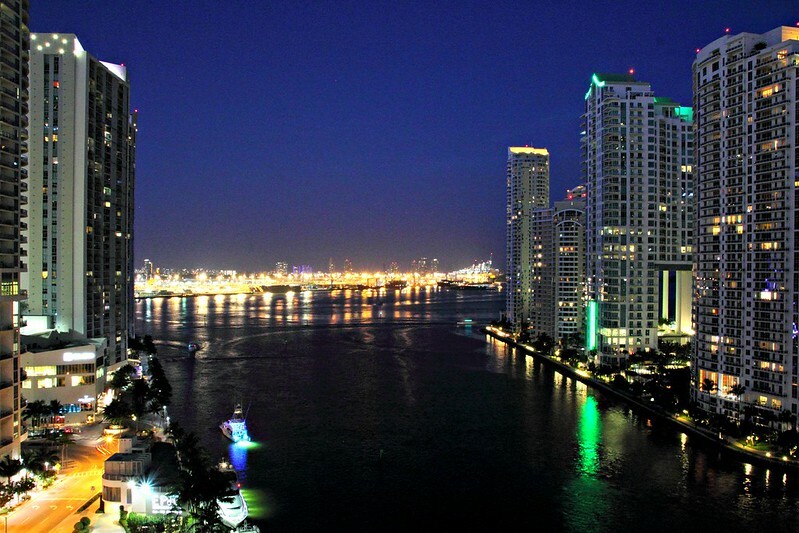 The article gives a brief overview of the nightlife in Miami and it feels so exciting after reading this article that I want to visit this place and enjoy the crazy stuff over there. Miami beach is Love <3 I really enjoy my days at Miami but here in London, the nightclubs in London have more luxuries then nightclubs in Miami.